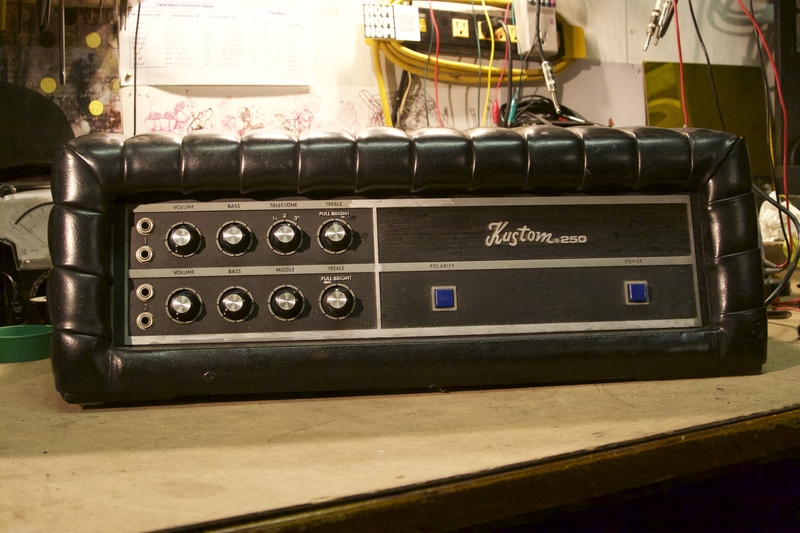 Kustom 250 bass amp with the tuck n roll. Not really sure why it’s called that. For me it did 98W at clipping, oh well. This one had broken solder connections from a previous repair and was not putting out full power. Also needed a new power cord so it was a good chance to upgrade to 3-prong. Driver transistors are RCA 40409/40410 like in the old Acoustics. Unlike the old Acoustics there is one driver transistor per output transistor. 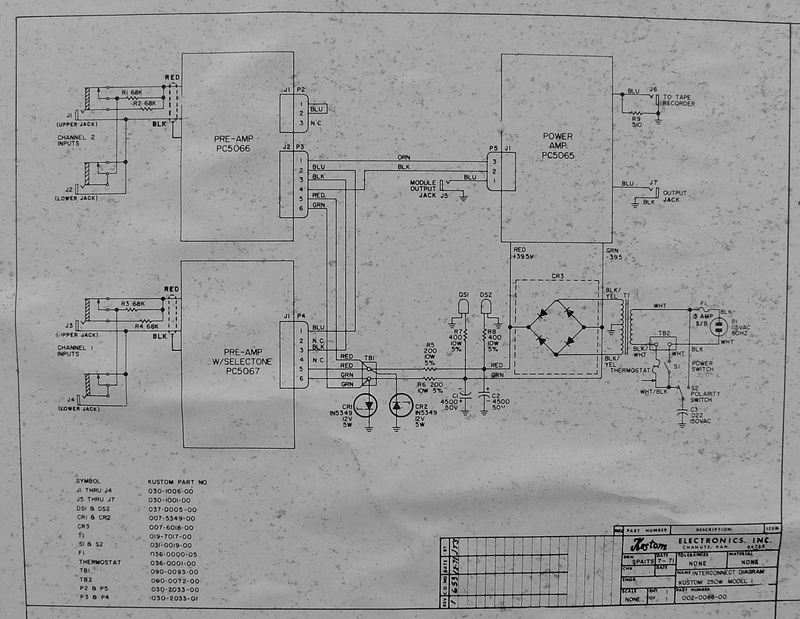 Acoustics usually have one 40409/40410 driving two or three output transistors in parallel. 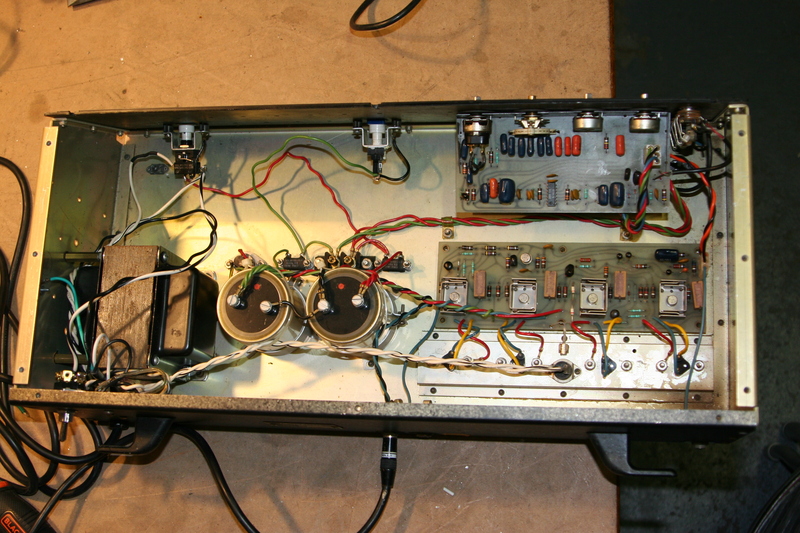 Output transistors in the Kustom are mounted underneath the heatsink on the bottom of the chassis.